Now that we’re in the thick of spring and heading right into the summer season, we find ourselves outside doing lots of fun stuff. For some of us this means new tech and gadgets for playing around. Take drones, for instance. We’re willing to bet that you know someone you know who has a drone. Isn’t it time you got one a decent one for yourself? Our Deal of the Day is the Micro Drone 3.0, which happens to be on sale to the low price of just $145. Normally priced around $215, we’re offering it to AndroidGuys readers with a 32% discount. Small, maneuverable, and customizable, the Micro Drone 3.0 is a drone for everyone. Designed for first person viewing flight with incredible 720p video streaming onboard and a self-stabilizing CPU, this drone will let you truly feel like you’re flying. 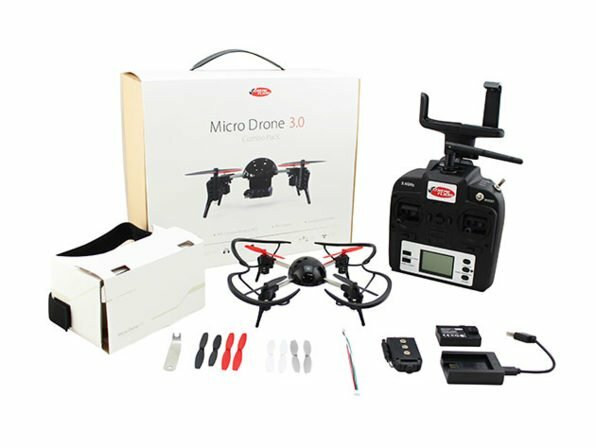 Reaching speeds of up to 45mph and capable of flips and inverted, upside down flying, the Micro Drone 3.0 is as much fun for beginner fliers as it is for expert pilots. You can purchase the Micro Drone 3.0 for only $145 through the AndroidGuys Deals Store. Hurry and take advantage of the 32% discount!